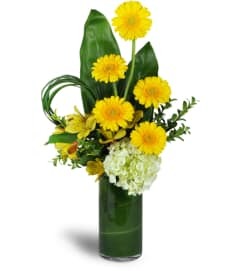 Bring a bit of good fortune into the home or workplace of a friend, family member or co-worker with our lucky Bamboo Bliss. 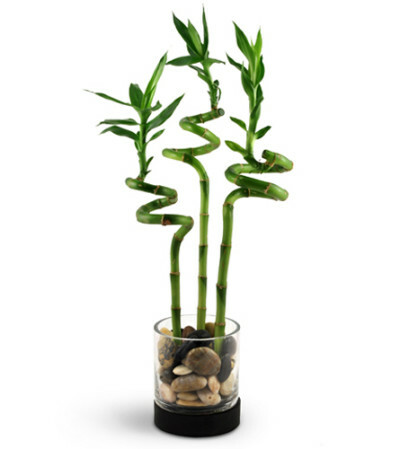 This tasteful, modern arrangement - consisting of three spiral bamboo stalks placed elegantly in a bed of smooth river rocks encased in a clear glass dish - is specifically designed to attract luck, wealth and prosperity. 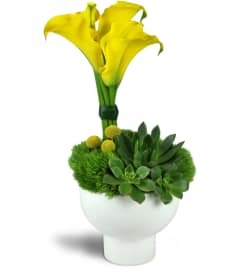 Sure to add a touch of serenity to any personal space. 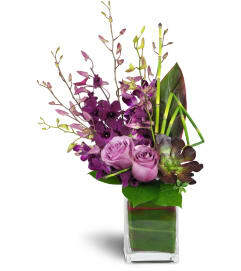 Three stalks of spiral bamboo are arranged in a unique glass vase with river rocks.